In the early 1960s the first Geographical Information System (GIS) was developed by the Canadians to store geospatial data and produce maps for the Canadian Land Inventory. This data provided an indication of the land’s capability to support agriculture, wildlife, forestry and recreational activities (Longley et al., 2005). Just decades ago, GIS technology such as this was an innovative phenomenon. Today, however, GIS is a widely used tool with significant relevance for farmers and the agriculture industry. GIS applications play an important role in the production of crops, both locally and across the globe. 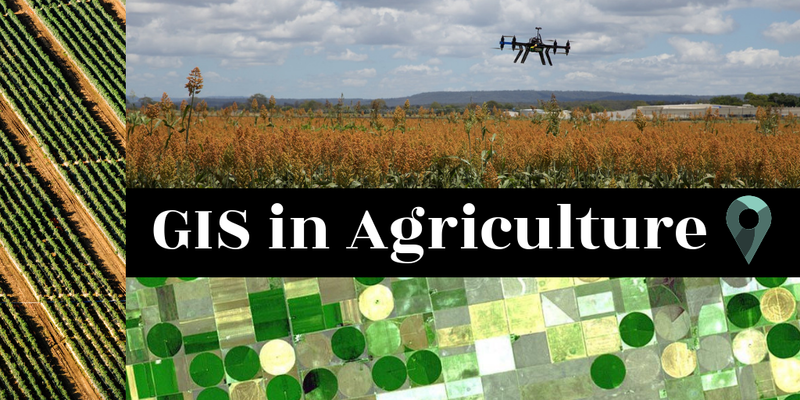 Through assisting farmers in increasing production, reducing costs, and providing an effective means of managing land resources, GIS has become an increasingly invaluable resource (AABSyS IT, 2018). 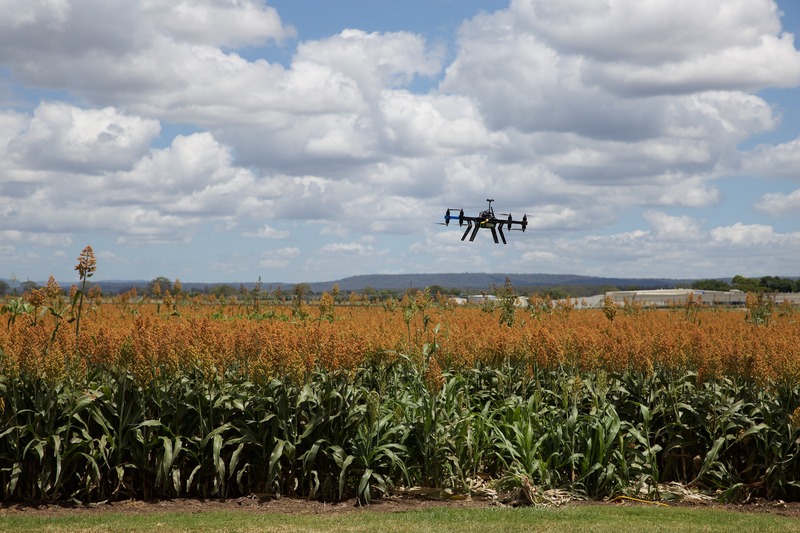 Its applications come in a variety of forms, including precision farming, drone and satellite technologies and the capabilities of Geographical Information Systems themselves. Sensors on satellites, tractors and in fields are constantly collecting data. GIS and other technologies shape this data into information that is accessible and interpretable by farmers and land managers to make efficient and informed decisions (Geospatial World, 2018). The use of precision GPS by farmers has become an essential tool in the agriculture industry. The technology has many cost saving and productivity advantages for farmers, as well as benefits for the community and the environment. 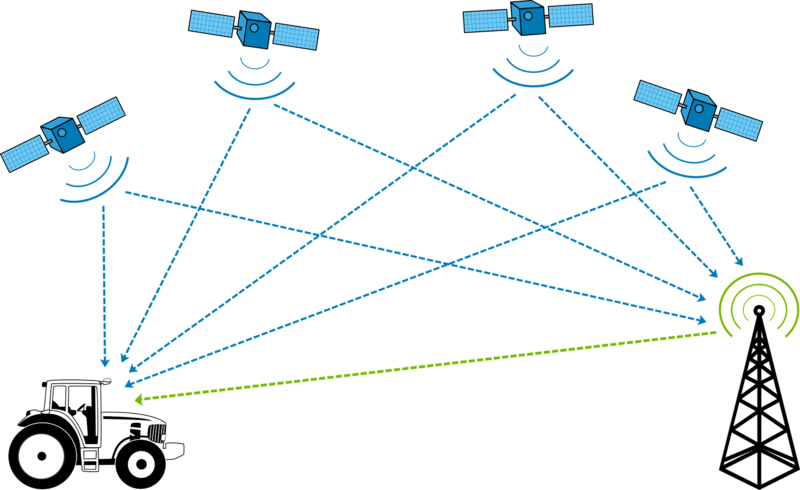 A key example being its use in fertilizing crops, where machine sensors gather information about the crops, and the GPS records the exact position it is applied on the field. The technology then aids the application of fertiliser only to the areas where it is needed, and can vary the rate of application to target nutrient-deficient sites (GIS Geography, 2018). This saves money on fertiliser product, as well as the environment from over application and runoff into local streams and rivers. 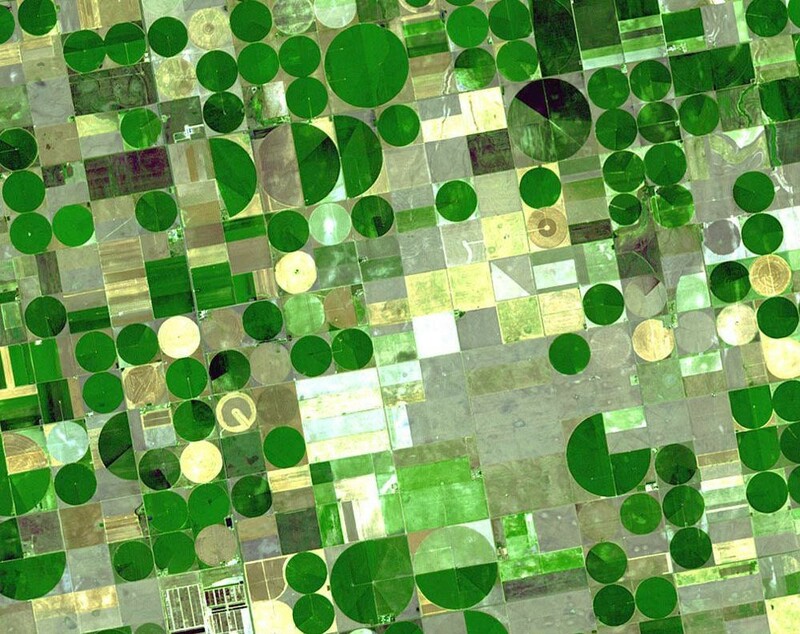 Figure 1: Landsat imagery of centre-pivot irrigation. The use of satellites and drones has dramatically grown in the past few decades. With one of the key farming challenges being the availability and management of water for agricultural purposes, satellite technology can collect real-time data from the Earth’s surface to assess and monitor the condition of the land. Soil Moisture Ocean Salinity (SMOS), vegetation growth using Landsat imagery, and applying the Normalised Difference Vegetation Index (NDVI), as well as a variety of other factors, can all be used to help estimate crop productivity and monitor drought and flooding on a global scale (GIS Geography, 2018). Drone technology is useful in collecting more local field data such as; plant height and biomass, flora counts, disease and weed presence, nutrient values, elevation and volume calculations (GIS Geography, 2018). Drones can replace time-consuming tasks, normally performed by scouring fields on foot, to assess qualities of the flora and vegetation present. Farmers are thus able to cover more ground, inspecting the health of the crops using aerial imagery and other data that the drone can record. For these purposes, and many more, satellites and drones can be used by farmers to make real-time actionable decisions. Monitoring yields, applying nitrogen, using precision water sensors and identifying critical areas for intervention are all valuable uses that this technology can provide (GIS Geography, 2018). Just one basic drone can provide farmers with the ability to make many powerful decisions that will impact the health and productivity of their land. In the United States of America, the National Agricultural Statistics Services (NASS) have developed an online mapping application called CropScape. This application can provide area estimates of crops, estimate the type of crop growing and how large the size of its yield could be. Not just for privatised use, government agencies have used CropScape data to assess such national issues as; food security, pesticide control and changes to land-use (NASS, 2018). For today’s governing agencies, the need to secure the necessary food sources to support the continuous rise in population has been a growing concern. It has been estimated that the current production of crops will need to double by 2050 in order to meet future needs for food (GIS Geography, 2018). For such purposes, GIS is not only being used for real-time analyses, but also to compare historical data. Landsat satellite imagery can be used to assess historical trends of agricultural land use over time. This can help to predict and plan for the amount of arable land needed to supply food to the future populations. One of the most important functions of GIS and mapping is to be used to raise awareness of such issues as food scarcity, and locating areas that are in need of assistance. Web mapping tools like the Institute of the Environment and the University of Minnesota’s Feeding the World map (Figure 3), and the Food and Agriculture organisation of the United Nations (FAO)’s World Hunger Map provide a unique view of global food production. Though establishing the underlying causes of food insecurity, GIS data and technology are helping to safeguard the areas and communities affected by food scarcity. The agriculture industry has been greatly transformed by geospatial technology. In just the past few years, the online (and offline) power and accessibility of GIS and digital mapping both has changed the way farmers and managing their land and performing their most basic tasks (Takor Group, 2017). GIS allows us to visualise, analyse and understand that vast extent geographic data that is being stored and collected on a daily basis. 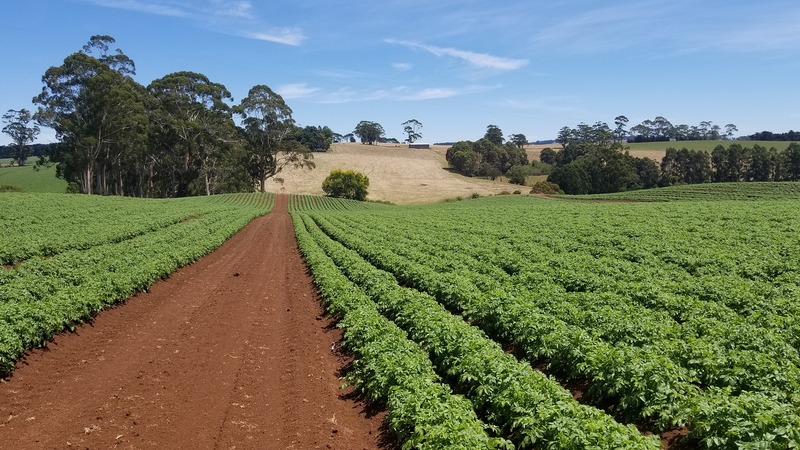 It can now be easily communicated to us which crops are flourishing, the extent that pollution and natural disasters hinder production and control the use of fertilisers. With World GIS day being celebrated in November, it is a great time to appreciate just how much this technology has influenced the productivity of farmers, agriculture specialists and environmentalists alike. If you are considering using GIS and Remote Sensing information to monitor crops, vegetation health or to evaluate rehabilitation activities, Integrate Sustainability should be able to assist. 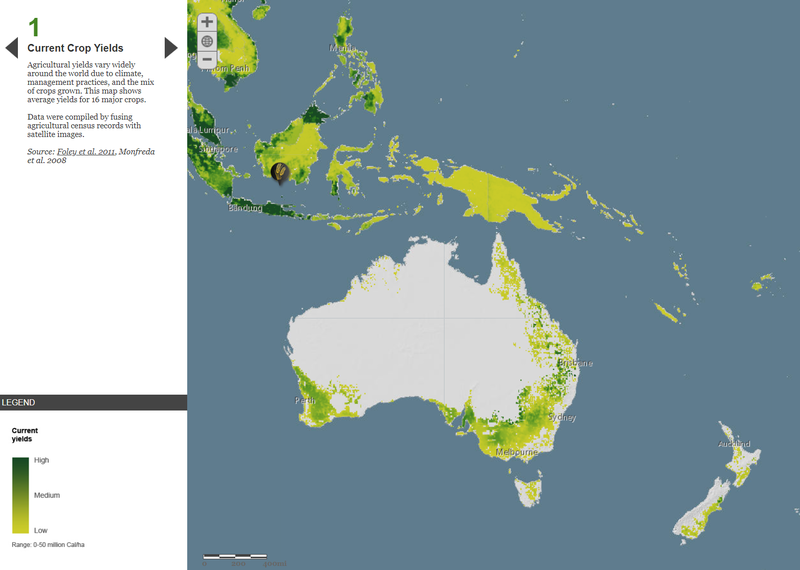 If you have further questions on remote sensing or setting up your GIS system please email use at enquiries@integratesustainability or call (+618) 9468 0338.